SFW SS 18 is just around the corner, but what names are set to make an impression this season? If there’s one word that keeps cropping up in conversations on global fashion trends, it is ‘Korea’. When it comes to setting the world-stage for innovative fashion, Seoul is helping lead the pack. In recent years, the bustling metropolis has joined the ranks of such cities as Milan, New York, and Paris, and each season, the buzz around Seoul Fashion Week continues to grow. This month sees the much-anticipated Seoul Fashion Week SS 2018 take place once again at the DDP, with both well and lesser-known names in the industry setting the scene this season for what’s to come. For fashion-followers lucky enough to have front row seats to the shows, there is sure to be an array of amazing local talents to enjoy. For those of us not so lucky, here’s a round-up of what to expect. Launched in 2012, Nasty Habit is a label known for its quirky mixing of textiles and unique concept ideas. Designer Greem Byun, who graduated in Textile Art and Fashion Design from Hongik University, experiments with concepts of high-fashion, along what it means to be ‘nasty’, and the result is a menagerie of eccentric, fun, and unbalanced pattern designs. Pulling inspiration from such materials as Trainspotting and Alice in Wonderland, this brand’s fresh perspective on uniquely wearable collections is sure to catch the attention of influencers and fashionistas alike. With last season’s collection including layers of faux fur and tartan, we’re looking forward to seeing what new combinations are in store this time. Among the labels to watch this season is Chaos From Undermind, a temporary menswear label run by the visionary Young Jae Cho. Known for its unabashedly edgy, dark vibe, this label has pushed the envelope in previous seasons. Indeed, one past SFW saw models ushered down the runway adorned with realistic cuts and bruises – as if sporting fresh battle wounds from a Black Rebel Motorcycle Club concert gone array. Incorporating asymmetry, leather, an abundance of straps, and oversized silhouettes, this brand is truly reminiscent of a longed-for, 90s ‘goth kid’ ideal. 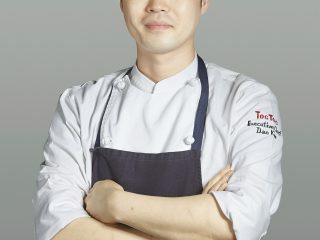 With a ‘unique understanding of the strength in femininity’, designer Yoon Chun Ho of YCH has been a growing favorite in past seasons at Seoul Fashion Week. YCH at once embodies contemporary, current trends, while invoking an aristocratic fashion-feel of past ages. Playing with silhouettes, and mixing cascading layers with extravagantly designed sheer overlays, each of Yoon’s pieces sway between modern, punk design, and a bygone era of elegance. Accessories can make-or-break a look, and no Korean brand arguably knows this better, than Studio 1064. 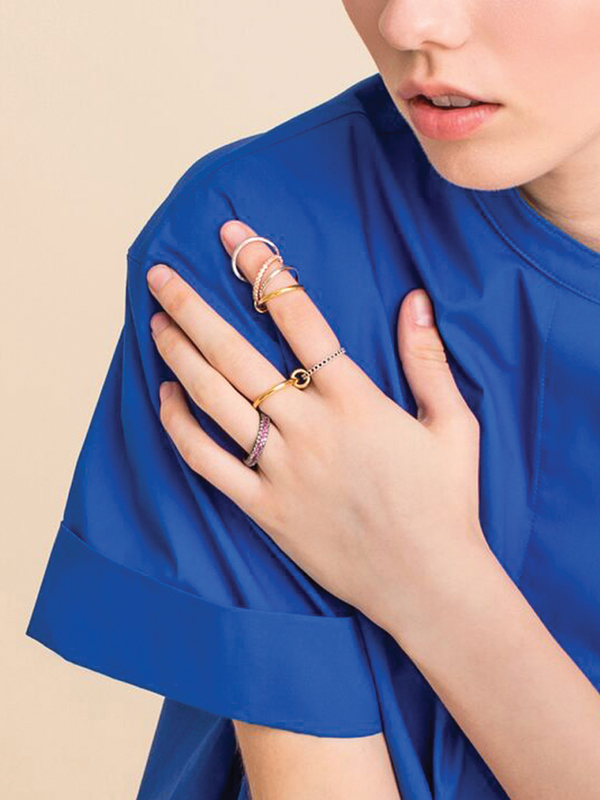 Encapsulating the idea that jewelry can bring harmony to an outfit, designer Noh Sodam uses delicate craftsmanship combined with innovative design and fine materials, to create pieces of almost ethereal quality. The studio’s name is derived from the exact temperature – 1064 degrees Celsius – at which gold melts, and epitomizes the brands ability to hit the mark of perfection, without excess. One stand-out collection is ‘Movement of the Light’; a selection of pieces that would look at home in MoMA, New York. Mixing high-end jewelry with a streetwear feel, brand DE LA LUNE embodies a new standard in feminine fashion. Designers Park Mi-young and Song Seung-hyun make it their mission to keep DE LA LUNE at the cusp of breaking new trends in the world of fashion accessories. 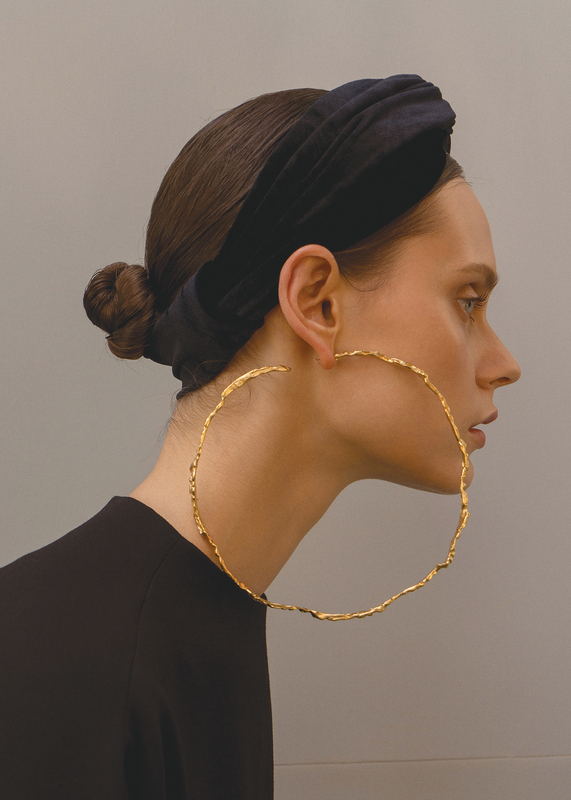 Effortlessly layered to drench wearers in finely tuned pieces, or worn as stand-alone touches of glimmer, DE LA LUNE’s earrings and neck pieces could easily be imagined on the likes of FKA Twigs or Grimes. With minimalist designs and a keen eye for exceptional materials, DE LA LUNE is definitely a brand to watch out for this time around at Seoul Fashion Week.